Connector plates Connects incline elevator to horizontal mow conveyor. Prevents bales from turning and tumbling out when transferring. Above drawing illustrates incline elevator assembled to horizontal conveyor, using Bale Guides (model HST-7A), Connector Plates (model HST-17A or 18A) and Bale Arrangers (model HST-16A). 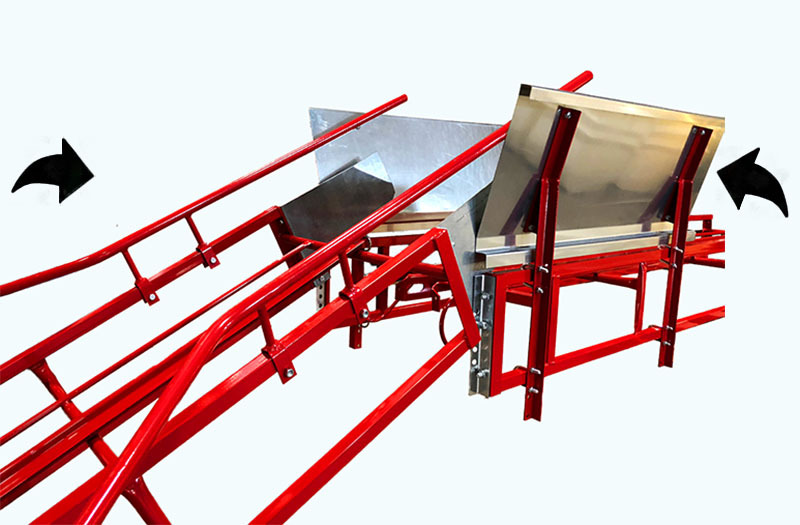 Bale arrangers Direct irregular shaped bales into horizontal conveyor. Made of heavy, galvanized steel. 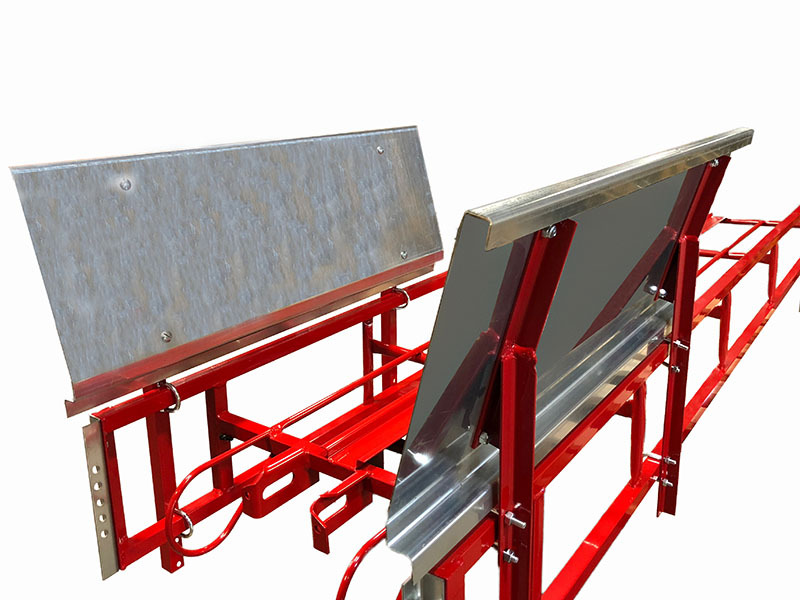 Bale chute (grate-type - 6' length) Hinges to elevator - tips back against wagon or truck for easy unloading. Long tapered design automatically lines up each bale to prevent them from tipping or turning while being conveyed up elevator. Grate-type construction permits loose material to fall through for smoother operation. 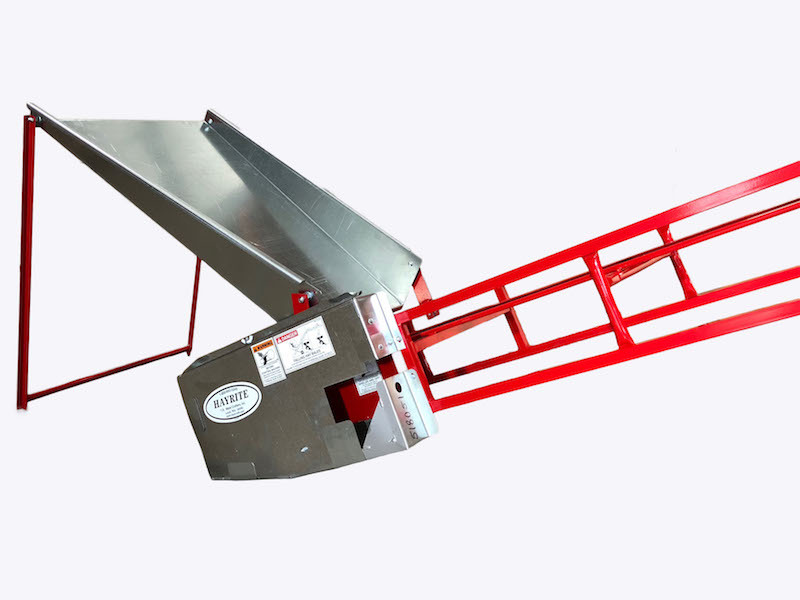 Bale chute (pan-type - 4' length) Hinges to elevator - rests on its own stand or tips back against wagon or truck for easy unloading. Made of heavy, galvanized steel. Short tapered design automatically lines up each bale to prevent them from tipping or turning while being conveyed up elevator. Bale kickoff Sturdy, tapered design provides for fast, smooth, accurate unloading to either right or left from any point along conveyor. Pull control rope (rope not included), from mow floor to change direction of unloading or to slide kickoff to any position along full length of conveyor. Bales cannot be conveyed over kickoff and onward toward end of conveyor. Bale guides Keeps bale twine from catching and breaking when bales are discharging from a steeply inclined elevator. 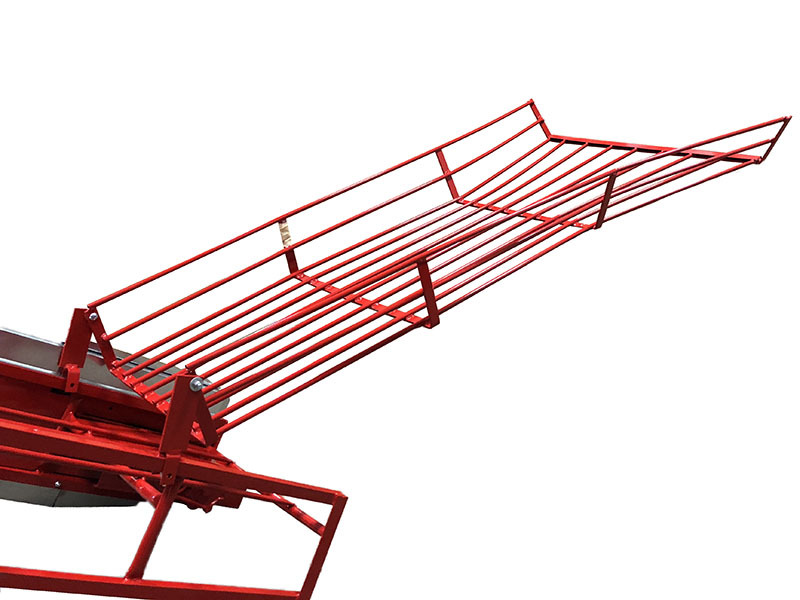 Prevents bales from tipping and turning and then tumbling out when transferring from an inclined elevator to mow conveyor. 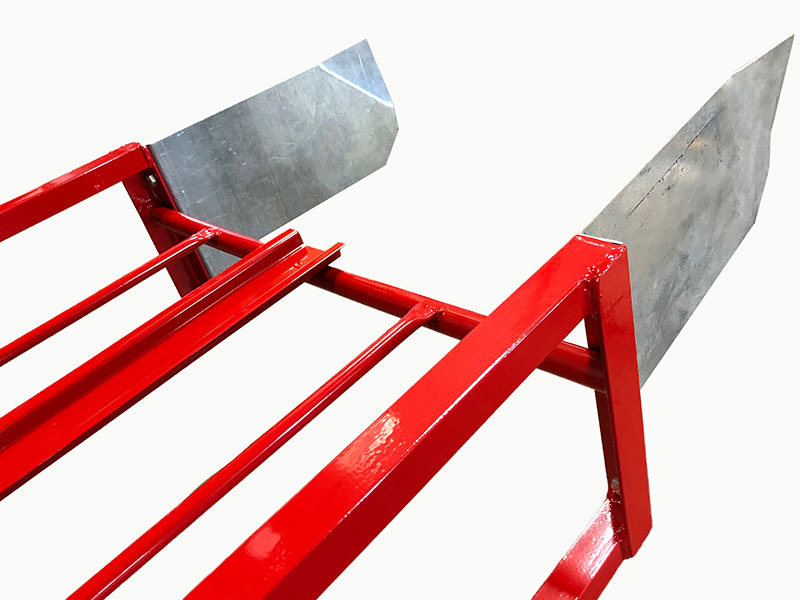 Pair of sturdy steel tubes clamp onto sides of inclined elevator on top end. Bale rails Rails increase height of elevator sides to prevent irregular shaped bales from tumbling out. 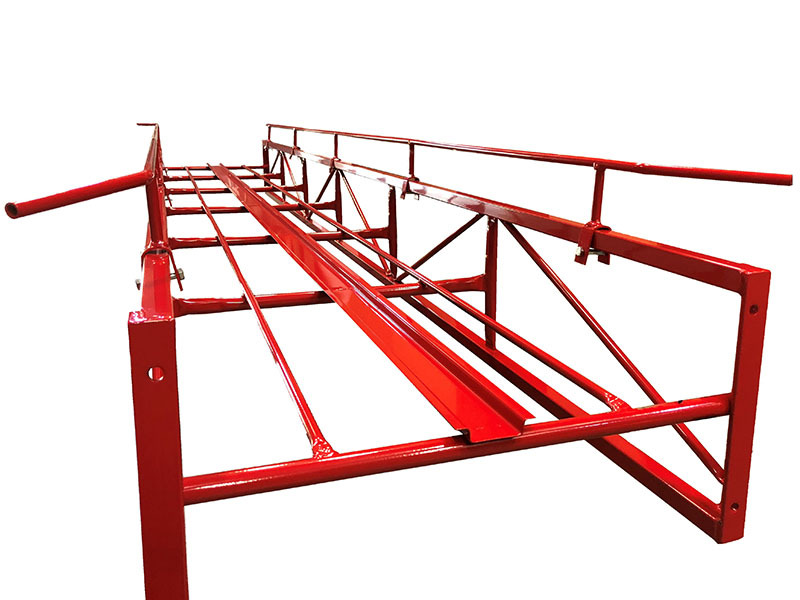 Rigid 12' long steel rails clamp onto sides of inclined elevator. 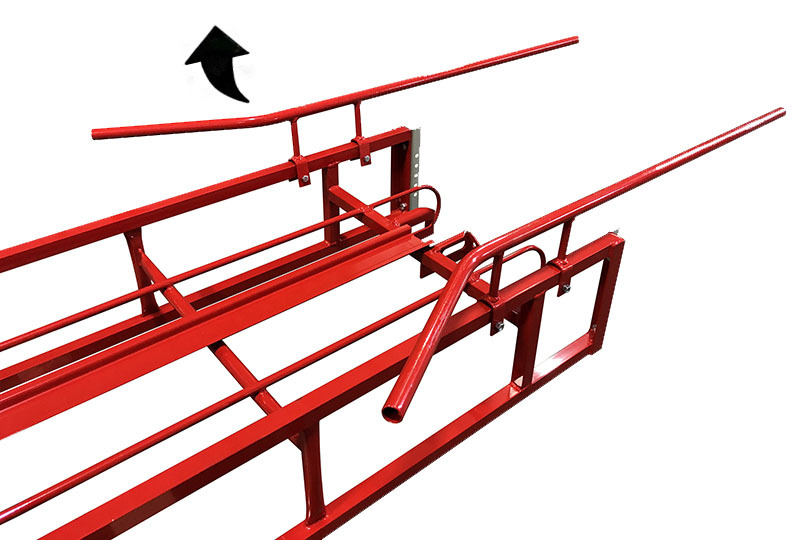 Mow hangers Makes it simple and easy to install conveyor from haytrack, rafters, or roof. Sturdy, tubular steel hangers are extra wide to prevent bales from snagging. 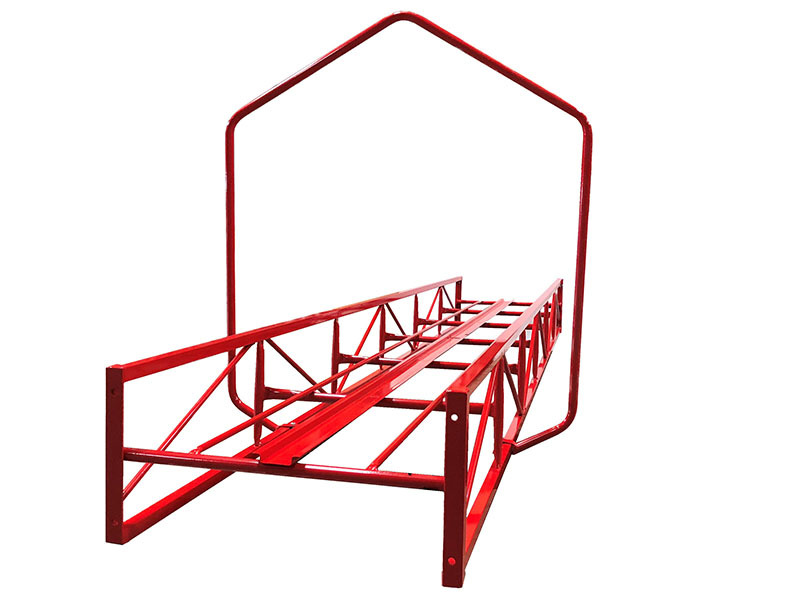 Recommended at ends and every 12' of conveyor length for proper support. Transports Engineered for better balance and greater strength - now you can move your elevator with ease to exactly where you want it. Rugged, oversize 2"x3"x1/8" steel-tubing transports are extra heavy for more strength. Wheels are set far apart for increased stability. Equipped with 15" four-bolt ag-type wheel rims (less rubber tires) mounted on regreaseable, tapered roller bearings (max. speed - 20 mph). 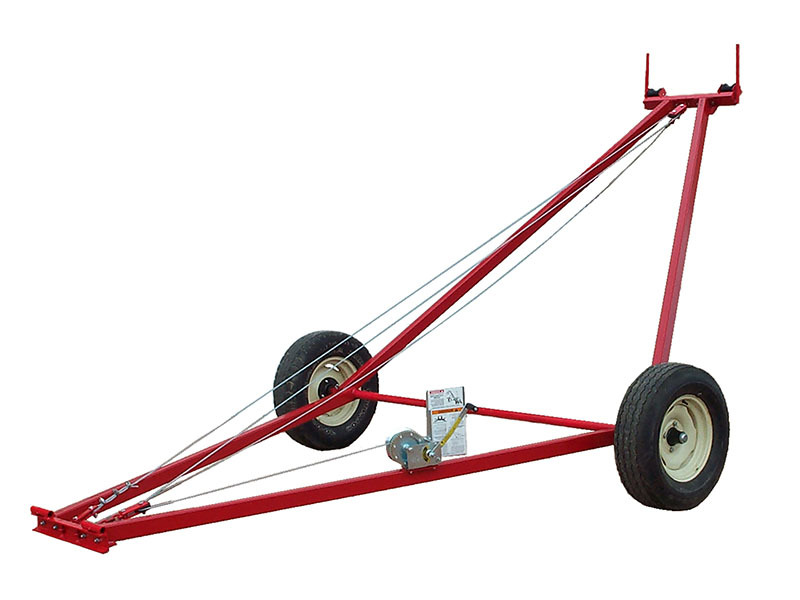 Transport can be quickly raised from towing position up to 45°. Sturdy, easy-to-operate hand winch features double-disc, automatic brake system for positive load control. Winch is zinc plated to resist rust. 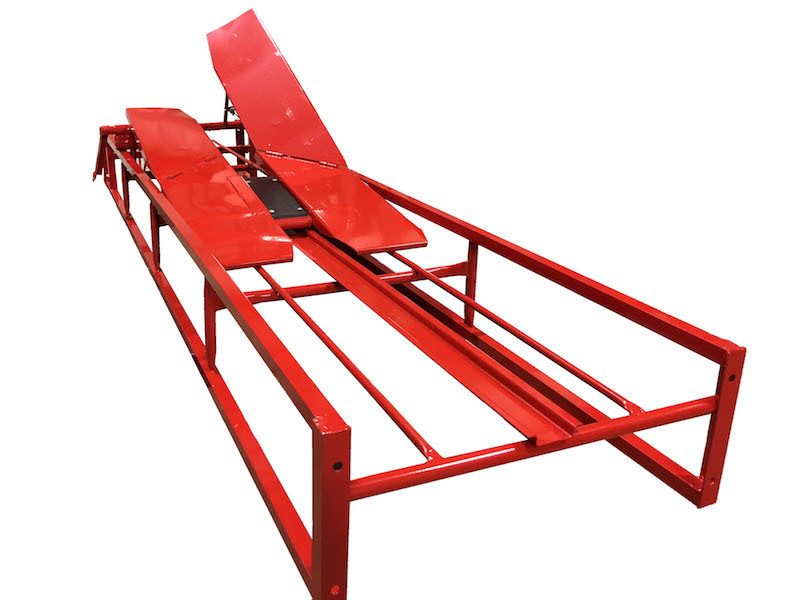 Transport hitch Specially-designed, extra-long pole to prevent elevator from binding against tractor or truck bumper during short turns  pole unpins for easy removal from rigid clevis to permit swiveling  prevents tractor or truck hitch pin from binding when elevator is raised.